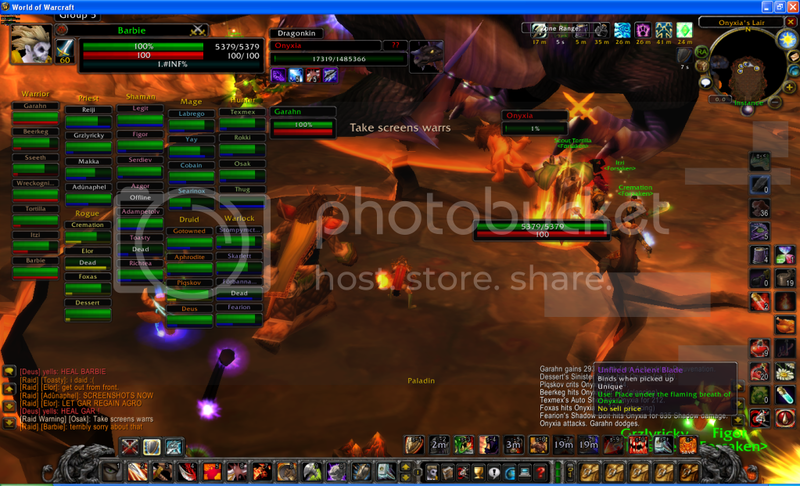 Killed Onyxia today and placed the unfired blade right where it's supposed to be - still no sword. Re: "The Forging of Quel'Serrar"
Ok this is my pic. Lookit Gar stabbing Ony like a boss in the pic of Beerkeg's.